Over our 25+ years experience of guitar building, spraying and retrofitting fretboard LEDs (to name just a few things that we do) we have acquired extensive knowledge of guitars and troubleshooting. We have encountered almost every kind of guitar fault you can imagine and have never returned a job uncompleted. There are some things that you can only learn from experience; and it is our vast amount that is why our customers always return. We can work on any kind of guitar or bass, any brand or model, and we will make it play like butter again. With our walk in service department, simpler jobs can be done there and then. Whilst you wait, sip a cup of tea or coffee and play to your heart's content in our showroom. For more extensive jobs, drop it round or send via courier and we will let you know when it is done. Any type of setup or service job is possible from the mundane through to the obscure. Here is a list of the common jobs, please use the 'Enquire' button below if you wish to get in touch. - this is especially popular for nylon string classical guitars. - truss rod adjustments, action, intonation etc. - whether it's bone, brass, graphtec or any other material we can slot it or supply and fit replacements if required. 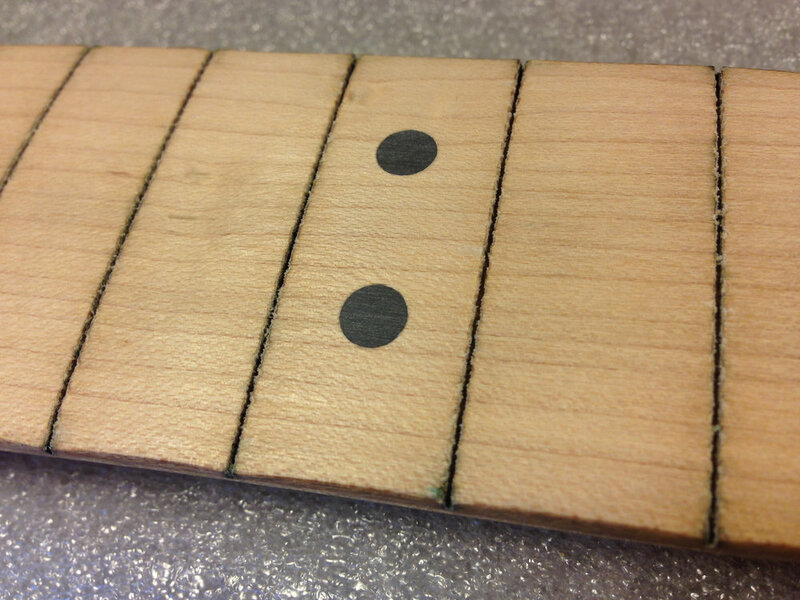 - for all frets that have become uneven due to age & playing, heat changes or poor manufacturing methods etc. - any bass or guitar, any size fret wire - we will supply and fit. Your instrument will probably play better than it did when you bought it. - this is usually only requested for bass but we have also done for guitars. - we can supply and fit any pickup, including any routing that may need to be done for it to fit. - we can supply and fit any onboard preamp you desire as well as electronics such as pots and switches - if any routing is required we can do this also. - we can supply and fit any hardware. - noisy pots, humming, popping switches and any other kinds of abnormal behaviour. We have vast experience of repairing guitar damage of all kinds and severities. We have successfully fixed everything from snapped headstocks and faulty set neck resets to patch repairs such as chips and cracks in the lacquer. With the benefit of our onsite Spray Shop and extensive experience in guitar and bass building, we are able to offer a standard of excellence that is parallel to none. We can also provide insurance quotes for damage, of which we charge £50 for - however the fee will be reimbursed in full when we have completed the job. If you are local and wish to use our services then you are more than welcome to drop your instrument off to us directly. Alternatively you can send it in the post via a recorded and insured courier service. Please bare in mind that if you decide to do this, it is your responsibility to ensure that it arrives to us safely and with sufficient insurance in the event of a *dreaded* courier mishap. We are located in Kent, South-East England. Our full postal address and all other contact information is available via the 'Enquire' button located below.